Mitya embraces the world of both design and code to give you a powerful animation prototyping tool. Use Mitya's timeline features when you want to move quickly. Use our built-in Framer support when you want dynamic data and custom behavior. 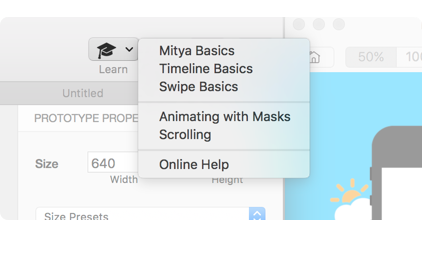 Mitya provides a full featured timeline similar to professional animation tools. This lets you insert multiple in-between states to create finely controlled animations. Building chained animations is extremely quick and intuitive. Just drag your layer along the timeline and Mitya will automatically insert all in between keyframes for you. When you have staggered animations across multiple layers, you need precise control and playback. Mitya lets you scrub through your animation at steps of 1ms to precisely craft your animation. Sometimes, you have multiple animation ideas for your transitions and you need to try them all to see the best version. Mitya lets you build and compare multiple versions, right next to each other. Creating animations is fun. Doing the work again is not! Once you've crafted your animation to go from one screen to the next, Mitya will let you automatically reverse the animation to return. Swiping between two screens is as simple connecting them and choosing the swipe direction. Animation for all elements is built automatically by Mitya. This feature is just perfect for building your onboarding process. Behind the scenes, Mitya converts all your prototypes to Framer code. This lets you build and animate easily with Mitya, and still opens up the power of code when you need it. If you're already familiar with Framer, there's nothing new to learn - we package the latest version of Framer right inside Mitya. With the power of code, you can design with real data and respond dynamically to user input. 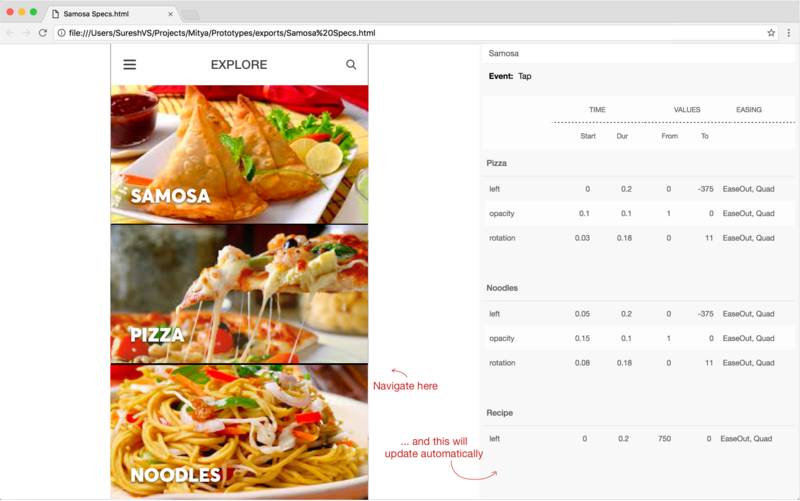 Add code directly to a layer or a screen to neatly manage your prototype. Build your logic right into a layer or group to create your own library of custom UI components. Copy to any project to duplicate the behavior. 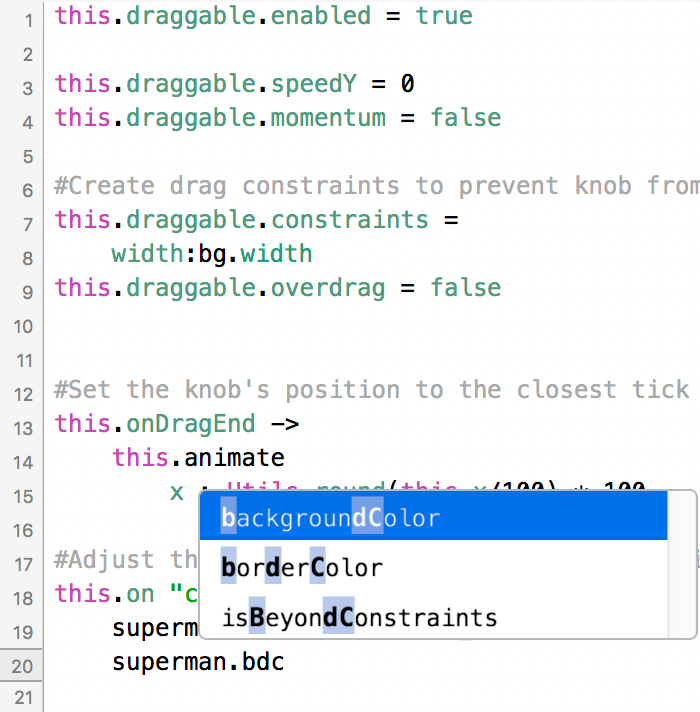 Add custom logic to any layer or screen in your prototype. The built in code editor supports syntax highlighting and fuzzy auto complete for CoffeeScript, Framer and Mitya functions. HTML for your clients. Animation Specs for your developers. The main purpose of designing a prototype is to share it with others - designers, developers and clients. Mitya makes it really easy to share with all of them. Export your prototype to HTML for sharing easily with your clients. They don't have to be on a Mac or install any additional apps just to view your designs. Share your animation with your developers by providing detailed animation specs, with details on timing, duration and easing. 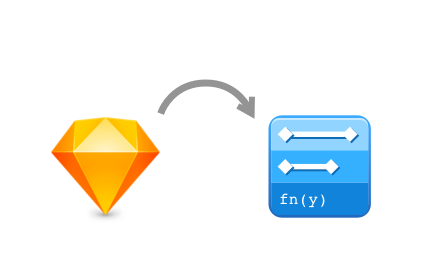 Use our Sketch plugin to quickly import your designs into Mitya. Made a change to your design? Import again and Mitya will update your prototype, leaving all your animations intact. The best way to learn is by doing. Mitya ships with 5 guided tutorials to help get you started real quick. And when you want to learn more, browse through our videos or come into our FB group.